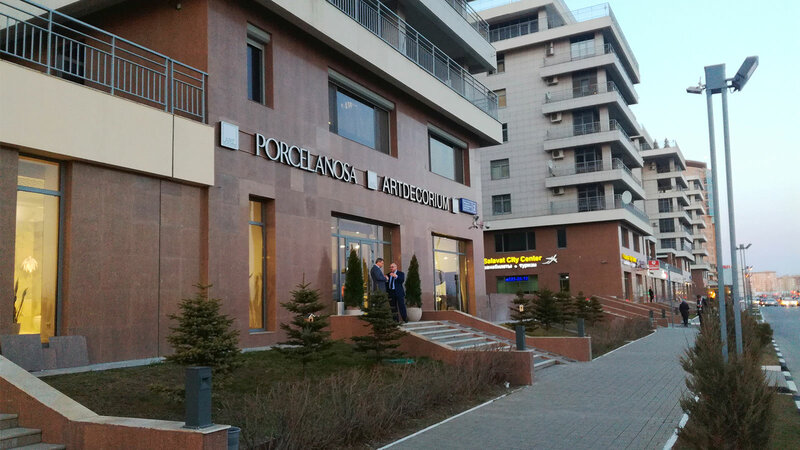 On the November 13th PORCELANOSA Group took part in a technical seminar organised jointly easier Krion® and 3M in order to inform everybody present about the solutions developed by the firm, and designed for making the task of the transformers and contractors of the new generation solid surface easier. 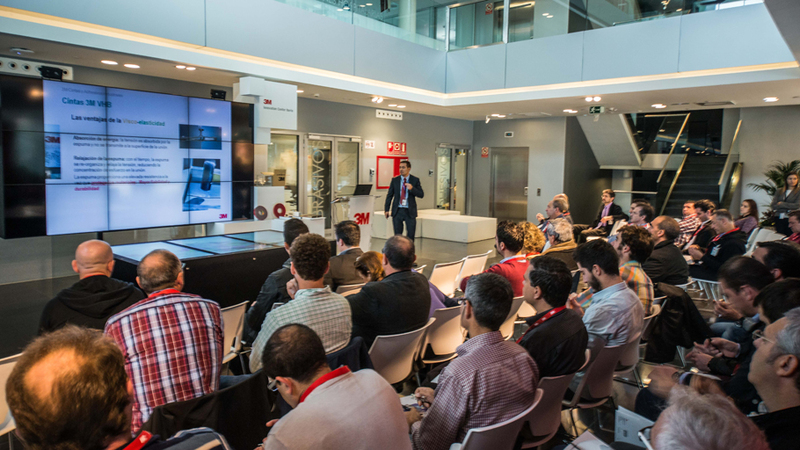 A great number of transformers have come from different places around the country, and mostly people from Madrid have participated in the seminars that were held in the 3M Spain Innovation Centre. 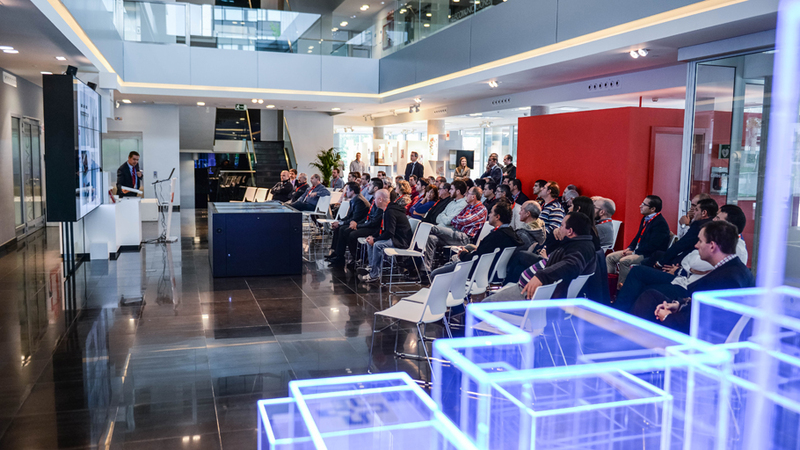 After the presentations and practical workshops, the participants in the seminar moved to the PORCELANOSA Group facilities in Madrid in order to get first-hand knowledge of the latest designs of solid surface Krion® for next year in 2015: the Luxury series models, the bathroom collection, Unique Series shower tray and bathtub and the extension of the Basic series, among others. 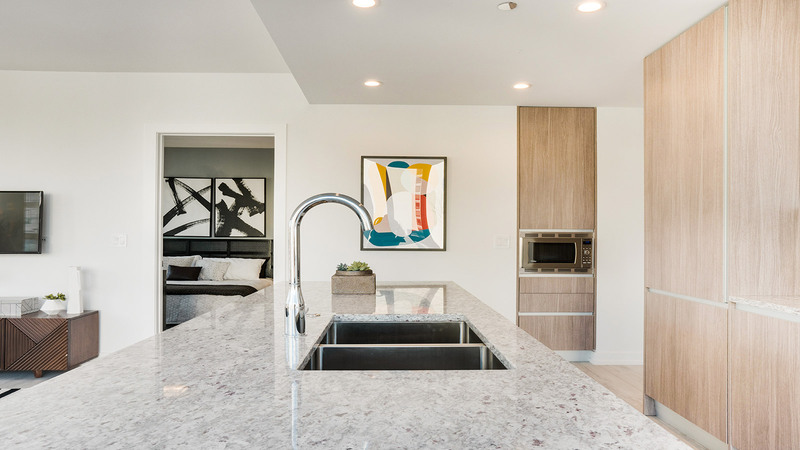 It is worth highlighting the special connection between PORCELANOSA Group and the choice of the place to hold the seminar. 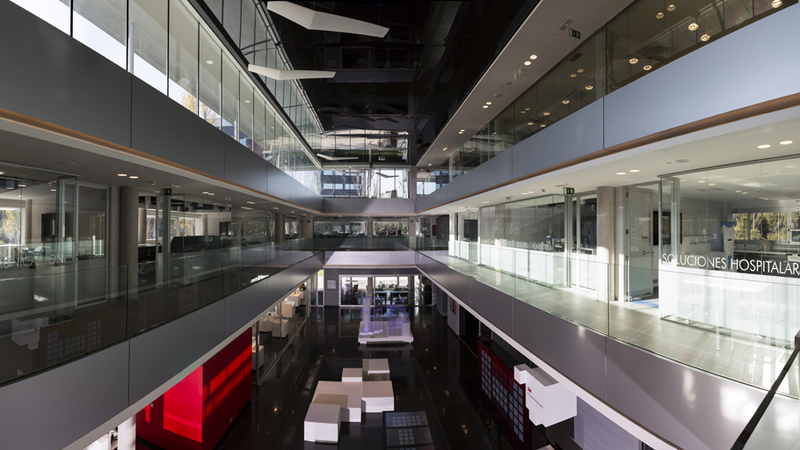 In other words, a building designed by Touza Architects studio was awarded with the First Prize in the VII Architecture and Interior Decoration Awards because of its amazing ventilated façade by Krion®, which has made the 3M Spain Innovation Centre become an important reference in the contemporary design. Further information about the project can be found here. 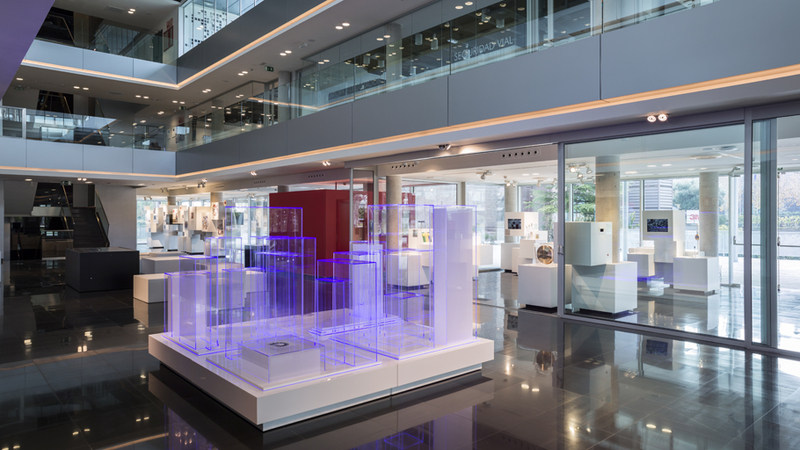 Among the solutions and designs presented by 3M during the technical seminar, different types of adhesives, VHB industrial belts and abrasives were presented, with the aim of the installation of the solid surface Krion®. 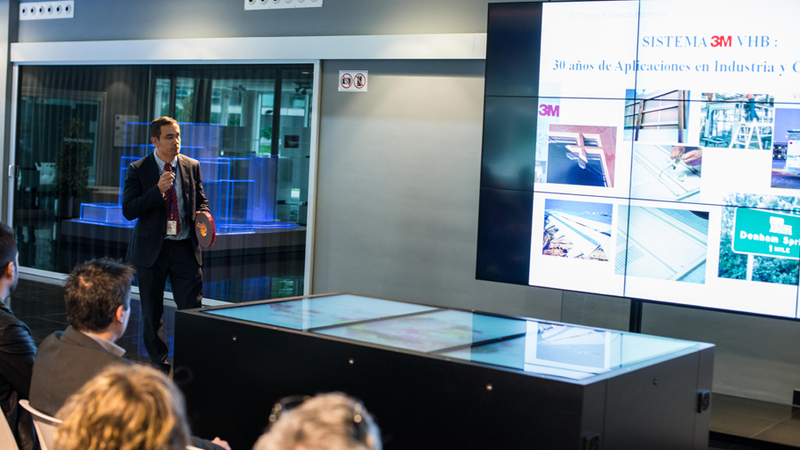 The sales of the new generation structural acrylic adhesives by 3M were highlighted, the types of sandpapers used specifically for the solid surface 3M that has got into the market were presented, and a demonstration was given of the VHB industrial belts. 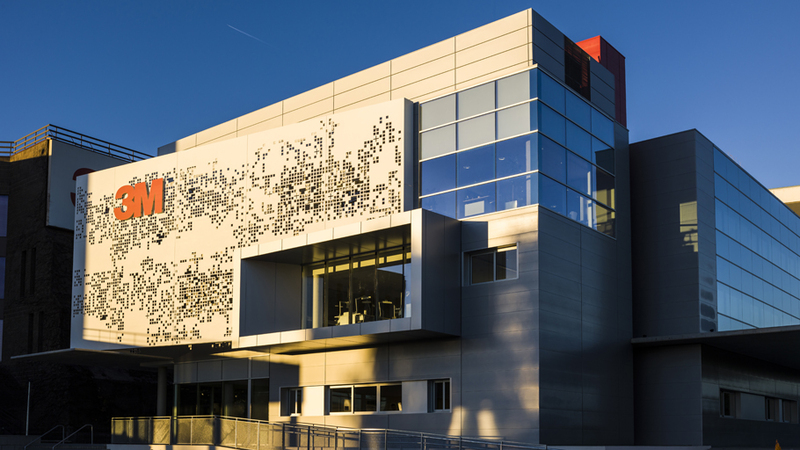 The latter were used for the construction of the façade of the Innovative Centre, designed by Tuza Architects. The VHB industrial belts are the alternative to the screws, rivets and solders suitable for special projects. They are acrylic foam belts which consist of close cell foams where a pressure-sensitive adhesive is coated on both sides. One can find lots of advantages in this combination if it is compared to the screws, rivets, solders and other types of mechanic fixings which cannot be levelled to. 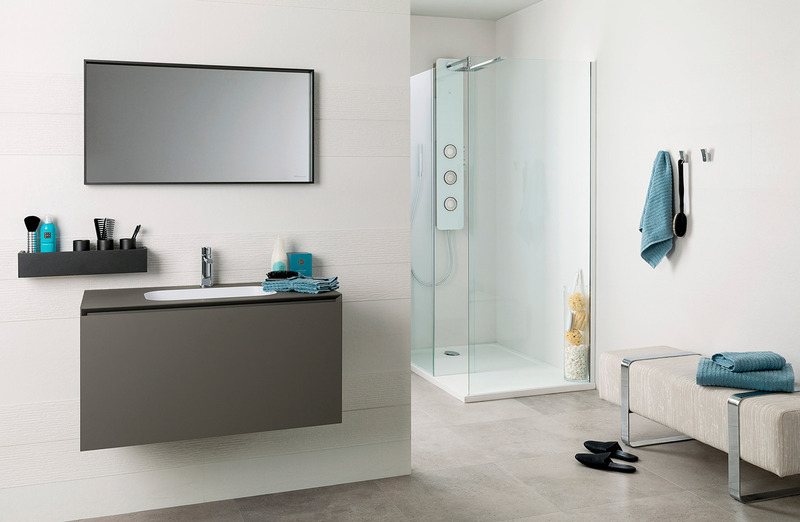 By means of this combination we get resistant long-lasting results for the joints of the steel plates in the solid surface Krion®.